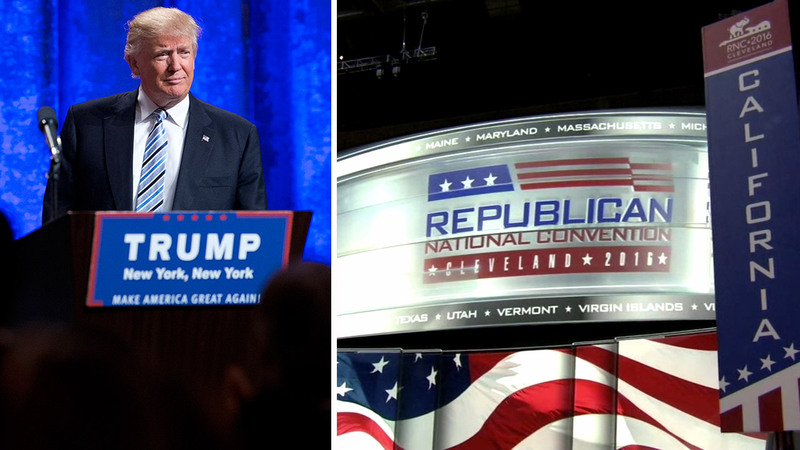 Donald Trump will take center stage at the Republican National Convention in Cleveland, Ohio. CLEVELAND, OH -- The Republican National Convention is set to kick off as the nation reels from another deadly shooting and dissident delegates stage a longshot, last-gasp effort to deny Donald Trump the GOP nomination for president. Amid the tumult, it was undeniably Trump's moment - a week at the pinnacle of American politics that few could have imagined when the New York billionaire entered the race a year ago. Cleveland Mayor Frank Jackson tells ABC's George Stephanopoulos the city is ready to secure the GOP convention. "We want America to understand who Donald Trump the man is, not just Donald Trump the candidate," said campaign chairman Paul Manafort. Yet the first act Monday was likely to underline how divisive Trump has been. Delegates were voting on the rules that will govern the convention week, and insurgent delegates said they would try to force a state-by-state vote - a move that could disrupt floor proceedings even if they fail. Trump's opponents want to change a rule that requires delegates to vote for the candidate to whom they were committed after state primaries and caucuses. Trump's nomination is essentially automatic under the current rules, because he has far more than the 1,237 delegates required to win. "We won't sit around and coronate a king," said Colorado delegate Kendal Unruh, who like many insurgents has backed vanquished presidential contender Sen. Ted Cruz of Texas. "What will happen on the floor, if there's any attempt, is the party and Trump are going to rise against it," Manafort said. Earlier this month, the slaying of a black man in Baton Rouge by white officers led to protests nationwide and heightened concerns about the state of race relations in America. President Barack Obama, responding to the shooting Sunday, noted that the incidents had come just before political conventions that tend to involve "overheated" rhetoric. Obama urged both parties to avoid "careless accusations" intended to score political points. "Everyone right now, focus on words and actions that can unite this country, rather than divide us further," Obama said. But Trump, insinuating that Obama held some responsibility, earlier blamed a "lack of leadership" for the Baton Rouge shootings and added on Twitter, "We demand law and order." Democrat Hillary Clinton, meanwhile, echoed Obama's words in a statement urging Americans not to "turn our backs on each other." Even before the latest violence, Trump's choice of Indiana Gov. Mike Pence as his running mate had been overshadowed by a deadly truck attack in France and an attempted coup in Turkey. Protests are widely expected outside the Quicken Loans Arena, where the city's police chief, Calvin Williams, said Sunday it seemed everyone was arriving to "exercise their First Amendment rights." Trump has thrilled supporters with a willingness to hurl insults at Democrats and Republicans alike: "Little Marco" (Rubio) and "Crooked Hillary" among them. Yet his off-the-cuff rhetoric and disorganized campaign have turned off many Republican leaders. "He doesn't have natural filters," said New York GOP Chairman Ed Cox. "Let's see about the acceptance speech. ... People don't know exactly what it's going to be."